“Nothing’s final but I know the promoters are talking about my next fight to be in Asia,” said Donaire who wrested the WBA crown from Belfast’s previously unbeaten Ryan Burnett via a fifth round stoppage in Glasgow last Saturday night. 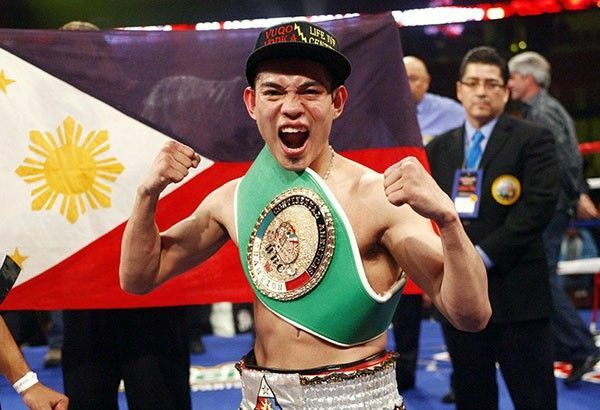 Nonito Donaire’s next fight in Manila? MANILA, Philippines — Newly-crowned WBA bantamweight champion Nonito Donaire Jr. said yesterday his next fight against WBO titlist Zolani Tete of South Africa will likely be held in Asia with Manila an option to host the World Boxing Super Series semifinal on the way to determining a unified ruler in the 118-pound division. Eight fighters were tapped by the Super Series organizers to contend for the unified title. Four have dropped out. Joining Burnett at the sidelines were Russia’s Mikhail Aloyan, the Dominican Republic’s Juan Carlos Payano and Australia’s Jason Moloney. Aloyan lost a unanimous 12-round decision to Tete in Ekaterinburg last Oct. 13. Payano was blitzed in a single round by Japan’s Naoya Inoue in Yokohama last Oct. 7. Moloney bowed to Puerto Rico’s IBF champion Emmanuel Rodriguez on a split 12-round verdict in Orlando last Oct. 20. In the semifinals, Donaire will face Tete and Inoue will battle Rodriguez. The winners will advance to the final for the Muhammad Ali Trophy and the undisputed championship. The WBC’s bantamweight throne is vacant so it isn’t participating in the competition. However, the WBC gave Donaire recognition as its “diamond” champion for defeating Burnett. The WBC “diamond” belt was introduced in 2009 and is given to the winner of a fight between two high-profile and elite boxers. Manny Pacquiao, Canelo Alvarez, Bernard Hopkins, Leo Sta. Cruz, Mikey Garcia, Jorge Linares and Floyd Mayweather, Jr. were former WBC “diamond” titleholders. Donaire assisted in strapping Burnett on a stretcher to carry him out of the ring. As he laid down, oxygen was administered. Burnett said his lower back gave in late in the third round and he couldn’t walk. But it was during the fourth when he crumpled to a knee, clutching his back, after missing a long right straight. English referee Howard Foster tolled the mandatory eight-count and Burnett was up at seven. Burnett finished the round badly shaken and walked back to his corner where Booth whispered twice in his ear. Burnett stood from his stool to start the fifth round but Booth signaled surrender to Foster who waved it off. Scans are now being done to determine the nature and extent of the injury. It was speculated that Burnett could’ve suffered a slipped disc. But there was also talk that Burnett could’ve sustained serious damage when Donaire dug vicious left hooks to the side of the body. Burnett going down with a cracked rib wasn’t discounted.